So me and my bestie Miss B came up with an idea that we wanted to see if it would work. 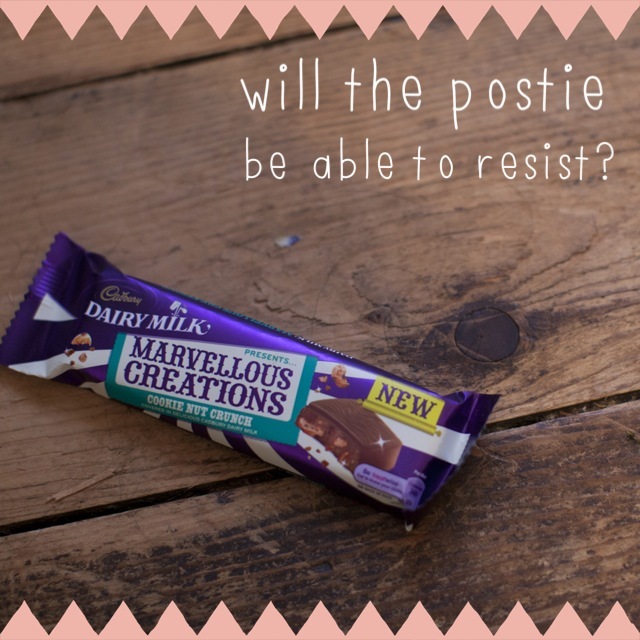 Would Mr Postman be able to resist munching on some yummy chocolate if it was just sent it as a chocolate bar? 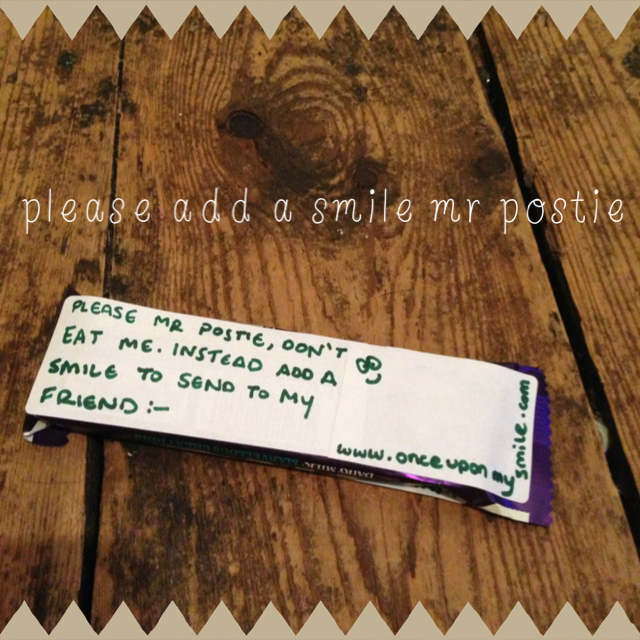 This entry was tagged chocolate, first class, nibble, post, postman, smile, stamps. Bookmark the permalink.